The Starving human gets hungry and full… Then hungry then full…. Then what? He is a being that does not stop this repetitive process until the end of his life. His hunger and fullness are not like animals and plants or any other creature. And because human was created like the image of God, his hunger and fullness took another perspective other than the rest of the creatures. And because a human is characterized by his mind, logic and his spirit which was given to him by The almighty God; a very special bond has developed with God engaging us in him in life and eternity. The true hunger of a human became in wanting to bond with his creator; God, finding his fullness in him. We can understand then why God placed Adam in paradise and asked him to eat from the fruits of all trees except the tree of knowledge. Hence eating after hunger was followed by fullness leading to satisfaction and thankfulness to God. By listening and obeying God Adam was full and satisfied. So no wonder why we are in continuous hunger, never stopping even by eating thousands and thousands of times yet never full. ” For of Him and through Him and to Him are all things, to whom be glory forever. Amen.” ( Romans 11:36) And in heaven, where the kingdom of God, we will not need food or drink where there is no hunger but complete eternal fullness ” for the kingdom of God is not eating and drinking, but righteousness and peace and joy in the Holy Spirit.” ( Romans 14:17) Human’s hunger is not only to food, drink and instincts like other creatures, but his relation to the divine nature makes him naturally longing to eternity, seeing another distinguished sort of starvation in the children of God to whom eternal truth has been revealed, the holy Bible tells us that God “He has made everything beautiful in its time. Also He has put eternity in their hearts, except that no one can find out the work that God does from beginning to end.” ( Ecclesiastes 3:11). Also Jesus said ” For indeed, the kingdom of God is within you.” The man of God does not only live by bread alone but by every word that comes out of God. And every time he eats from earthly food he remembers the bread of life and the word of God. And when he reads the word of God, he eats it with his mind and heart and all his strength ” Your words were found, and I ate them, And Your word was to me the joy and rejoicing of my heart; For I am called by Your name, O Lord God of hosts.” ( Jeremiah 15:16). God revealed to Amos the prophet that he will send a special kind of famine “Behold, the days are coming,” says the Lord God, “That I will send a famine on the land, Not a famine of bread, Nor a thirst for water, But of hearing the words of the Lord. ( Amos 8:11). The Lord assured this meaning in the sermon on the mount ” Blessed are those who hunger and thirst for righteousness, For they shall be filled. ( Matthew 5:6). Whoever hunger or thirst to the world and it’s lusts shall never be satisfied. ” A satisfied soul loathes the honeycomb, But to a hungry soul every bitter thing is sweet. ( Proverbs 27:7). A perfect example is the prodigal son, away from his father’s house ” But when he had spent all, there arose a severe famine in that land, and he began to be in want. Then he went and joined himself to a citizen of that country, and he sent him into his fields to feed swine. And he would gladly have filled his stomach with the pods that the swine ate, and no one gave him anything. ( Luke 15: 14-16). The question for us now is to what do we hunger for ?!!! David says in his prayer to the Lord ” I shall be satisfied when I awake in Your likeness.” ( Psalms 17:15). Moses longed to see the face of the Lord, but the Lord replied: “You cannot see My face; for no man shall see Me, and live.” ( Exodus 33:20). Then the Lord found a way for us to see him and live in him, David says ” As for me, I will see Your face in righteousness ” ( Psalm 17:15). He- by prophecy- speaks about the righteousness of Christ to whom is all the glory, whom we are in by faith and baptism ” For as many of you as were baptized into Christ have put on Christ. ( Galatians 3:27). Saint Paul made his calculations after Believing in Jesus Christ, knowing then that all what he had gained before was a loss. Therefore he only relied on the righteousness of Jesus Christ, by whom he was satisfied ” And be found in Him, not having my own righteousness, which is from the law, but that which is through faith in Christ, the righteousness which is from God by faith” (Philippians 3:9). Beloved, we know that when a person gets something he gets bored from this thing, and when he has the lust to own something, he no longer wants it when he possesses it. 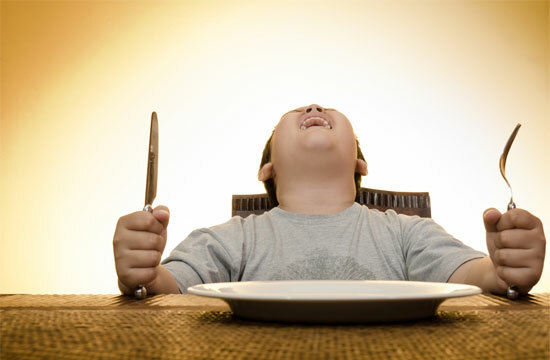 Take an example of a starving man who desperately wants to eat, when he stuffs himself with all sorts of food, he can no longer even look at it or eat from it. Same for sexual lust, after Amnon the son of David had raped his sister Tamar and humiliated her the Book says ” Then Amnon hated her exceedingly, so that the hatred with which he hated her was greater than the love with which he had loved her. And Amnon said to her, “Arise, be gone!” ( 2Samuel 13:15). Solomon in Ecclesiastes sums it all up by saying ” Whatever my eyes desired I did not keep from them. I did not withhold my heart from any pleasure, For my heart rejoiced in all my labor; And this was my reward from all my labor. Then I looked on all the works that my hands had done And on the labor in which I had toiled; And indeed all was vanity and grasping for the wind. There was no profit under the sun. ( Ecclesiastes 2:10-11).. The fullness in the Lord is accompanied by true happiness and lasting joy. David says ” You will show me the path of life; In Your presence is fullness of joy; At Your right hand are pleasures forevermore. ( Psalms 16:11). Here we see that the instant the Lord comes to us, or we to him, fullness and satisfaction comes ahead, no boredom or suffering, but unimaginable pleasure and joy. In Him we find everything new always and forever. The richness of Christ is renewed in us every day “Through the Lord’s mercies we are not consumed, Because His compassions fail not. They are new every morning; Great is Your faithfulness. ( Lamentations 3:22-23). Also in Revelations the Lord says “Behold, I make all things new.” ( Revelation 21:5). Brethren, let us enjoy our fullness in Christ, so we can taste the never ending happiness. Let us taste him like David who says ” Oh, taste and see that the Lord is good; Blessed is the man who trusts in Him! (Psalms 34:8). In the morning we rise by praying to the Lord, listening at his feet to His words in the Bible; starting our day in him, taking him in our hearts to work, asking him to be with us in everything we do. And at the end of the day we sit with him, asking him to bless us. We can understand what was in Isaiah’s heart when he says ” With my soul I have desired You in the night, Yes, by my spirit within me I will seek You early” (Isaiah 26:9).